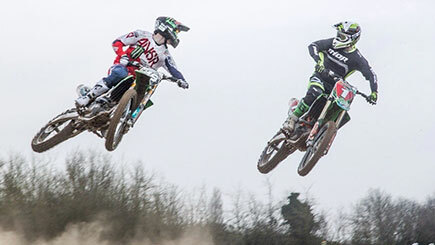 Essential for off road motorbiking fanatics, be treated to a rip-roaring full day session at the racing school of former British and European motorbiking champion Lee Dunham. It really is the best way to perfect those two wheeled off road techniques and, since it's run by the man himself, you're in the safest hands. 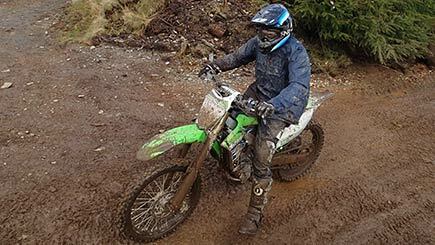 Begin with a safety briefing, then jump on a race prepared Kawasaki for some high-octane off road biking action. Pick up skills such as lever and throttle control, reading the circuit, line choices, race starts, jumping and cornering, all under the protective wing of Lee himself. During the session, there's a chance to put your skills to the test on a professional race track - and there's even a prize giving for the day's best trying riders! Around twice a month throughout the year, excluding Sundays, all bank holidays and the Christmas and New Year period. Minimum age is eight (children under 18 must be accompanied by a parent or guardian). No road motorbike licence required, but participants must have attended a taster course. This experience would be cancelled or curtailed in extreme weather conditions which would make it dangerous. Please call if the weather is poor and you are in any doubt. If cancelled, an alternative date can be arranged. Share the experience with up to five other keen motorbiking enthusiasts, plus a qualified instructor. Please wear comfortable clothing that is fine to get dirty and bring a change of clothes. All motorbiking gear is provided. Please bring along a drink and a packed lunch. Please note, this experience is excellent for both experienced road riders and those thinking about taking a CBT or full motorbike licence.